The CapCasc Architecture is at present under further development and Patent Pending. All details are currently being kept proprietary to allow for a closer control of all the final features. But when the first production unit is ready, all original aspects of the Hardware and Software Designs - including all sources, schematics, PCB layouts, etc. - are going to be disclosed and made available under the CC BY-SA or GNU GPL license - according to the underlying Intellectual Property structure. 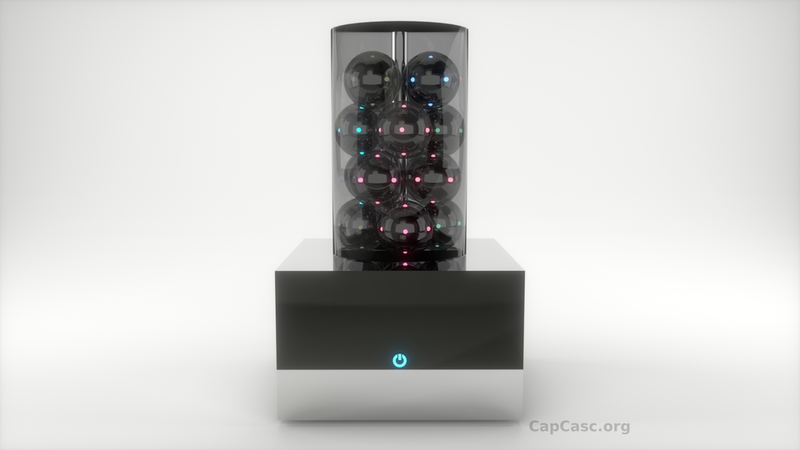 In addition, all CapCasc Devices are designed, from the ground up, to be Maker Friendly. In fact, all building stages are conceived to be easy to replicate in the average Maker Lab, so you can freely choose to buy one or build your own, or design your own custom add-ons or even integrate the CapCasc Technology along with your own product.